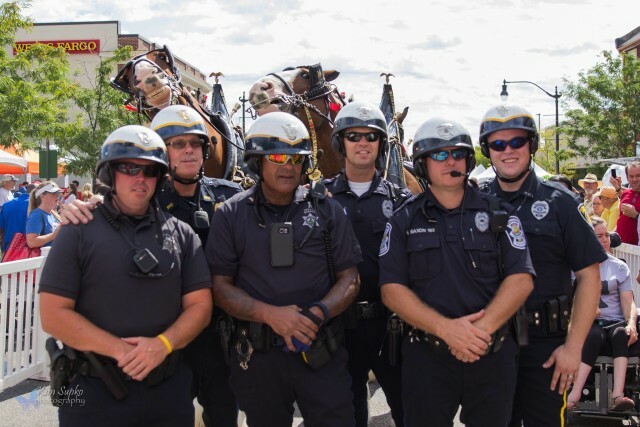 If you love the big boys, this is the job for you. You guys, it was a JOKE. 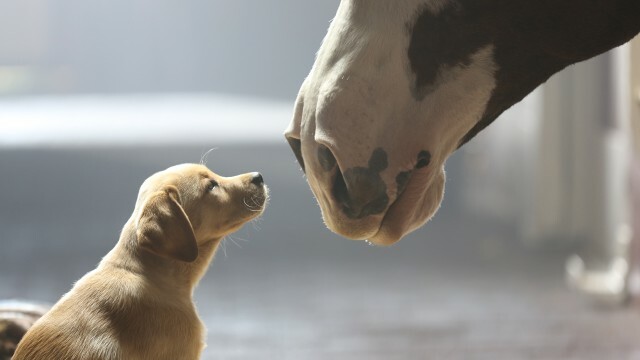 We never get tired of watching the big guys just horsing around! 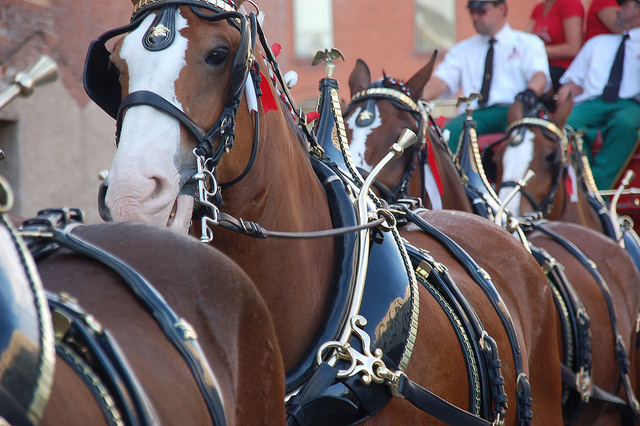 It’s always a pleasure to watch the Budweiser Clydesdales — they could literally do exactly the same things as our own horses, but somehow the most mundane activities are transformed into magical moments of delightful artistry when it’s the big draft horses doing it. 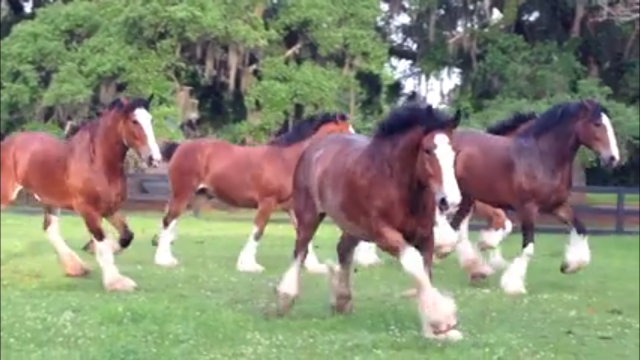 The Budweiser Clydesdales running in the horse pasture at Boone Hall Plantation. Video was taken by Boone Hall’s own Laura Bowers. 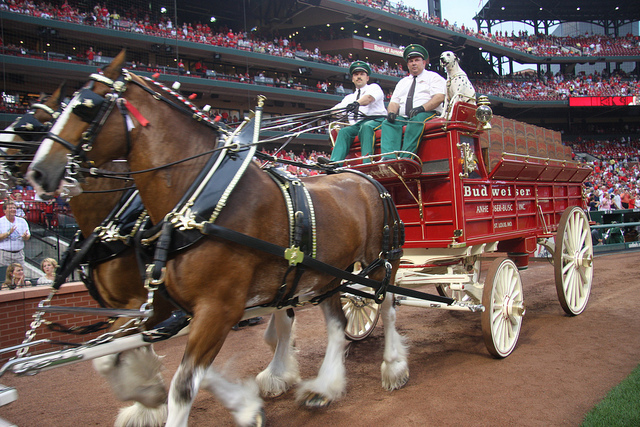 No one seems to appreciate the value of turnout more than the staff of the Budweiser Clydesdales — the traveling hitch makes many stops for the health and safety of its team all around the country, and we’re happy to see the horses enjoying plenty of leisure time. We featured a similar video last year, which you can check out here. 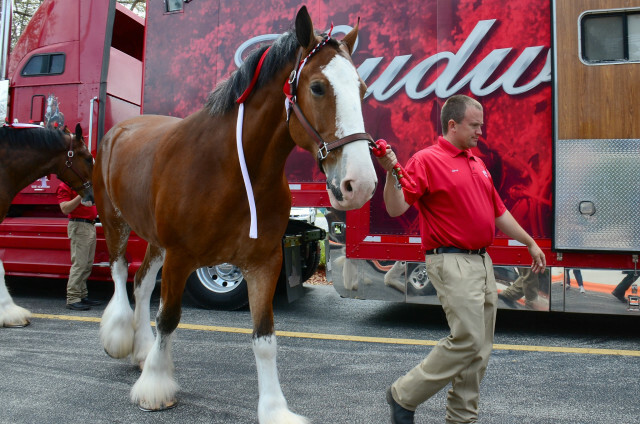 While the 2016 Budweiser commercial didn’t have nearly enough Clydesdale, here’s a fun alternative. According to Dreamwinds, Jimmy is the official “spokeshorse” for the Stomp Out Cancer fundraising campaign. 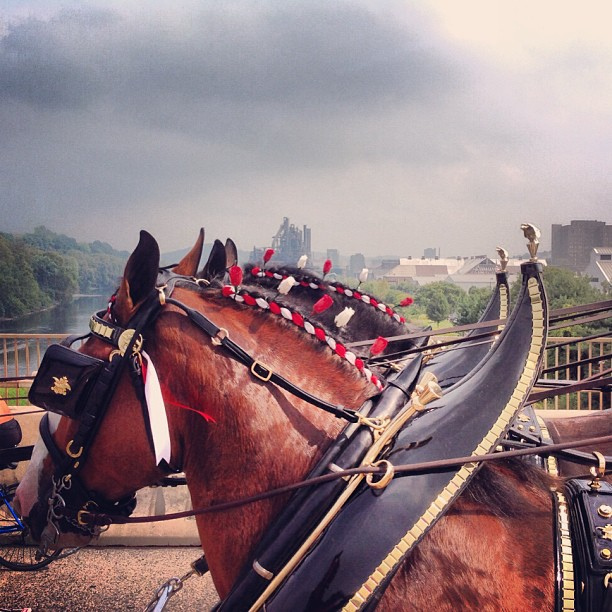 Dreamwinds Equine Assisted Learning Centre offers leadership training and team building through work with horses. Learn more about Dreamwinds Equine Assisted Learning Centre by visiting the organization’s website or “liking” them on Facebook. 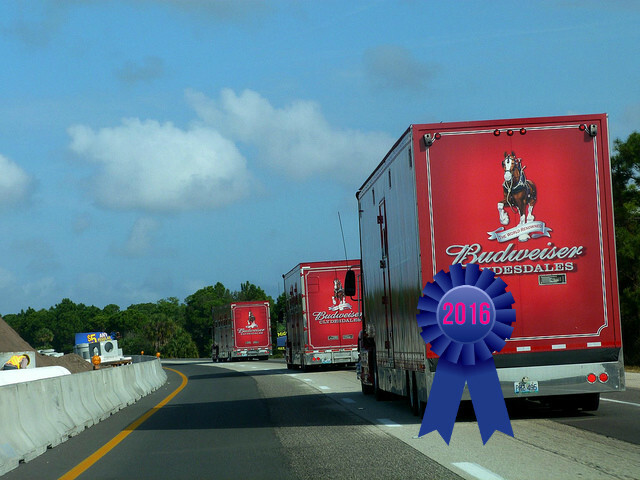 Go Jimmy, and go riding! 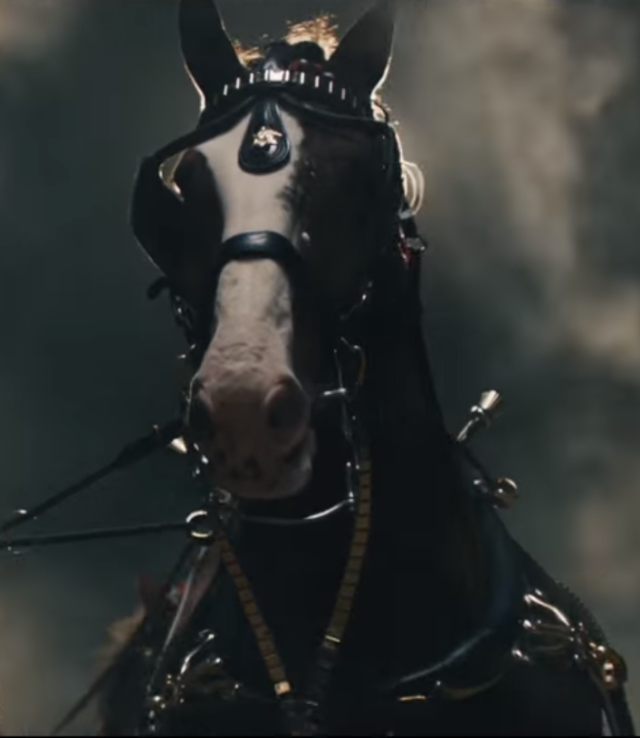 Tuesday Video: One-Horse Open… Inner Tube? There’s something exhilarating and yet soothing about watching this Clydesdale happily pulling a string of passengers in inner tubes through the snow. 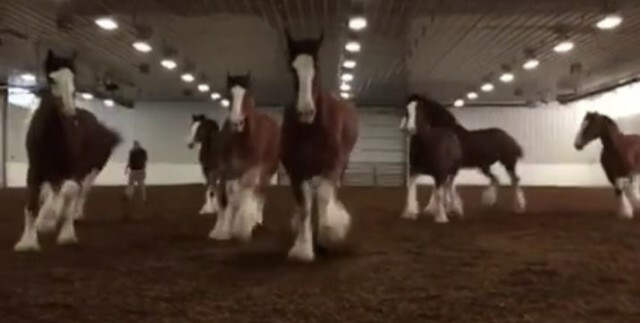 Kenna Nye of Glenview Clydesdales in Michigan posted this video of her and some friends having fun with Gunner the Clydesdale, which has since gone viral… and for good reason! Where can I sign up for this awesome winter adventure? 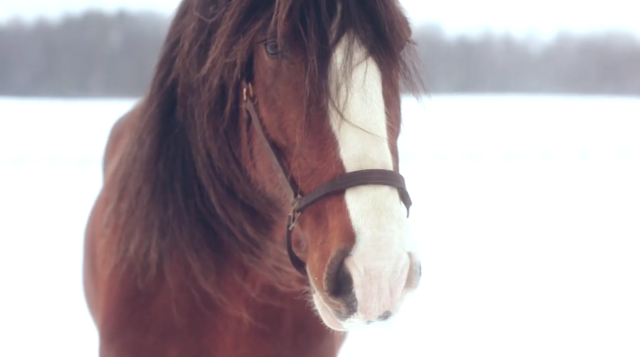 Whether you’re on a horse, sled, or tube, Go Riding.